WHO is considering dropping acceptable added sugar consumption (this includes honey, maple syrup, etc.) to 5 teaspoons per day as the safe limit (see http://www.salon.com/2014/02/25/sugar_is_killing_us_and_it_doesnt_take_much_to_destroy_your_body_partner/). This means I have more work to do on my diet as I switch more and more to the Mediterranean diet, the one that is gaining more and more solid scientific evidence that it works the best. This is one of the best intros I’ve seen: http://oldwayspt.org/resources/heritage-pyramids/mediterranean-diet-pyramid. Since hearing of the heroic efforts, and the loss of life, on 9/11 by the New York City Fire Dept, police, and other civilian workers I’ve felt too little is done to honor them and all emergency workers. We put up gigantic “MISSION ACCOMPLISHED” signs on aircraft carriers to make much ado about the military. I do not begrudge them, but I think there are also others that put their lives on the line to help and save me too that once in a while could use a thank you. I’ve hoped that 9/11 would become a day when we would acknowledge those efforts. It seems perfectly suited to me. But there has been no organized movement in that direction. So when I moved into this new old house and realized I lived two blocks from the city’s main fire department I resolved to make a personal act. My sourdough, fresh out of the oven. I’ve been told a number of times by a number of different people that I make some of the best bread they’ve ever had. 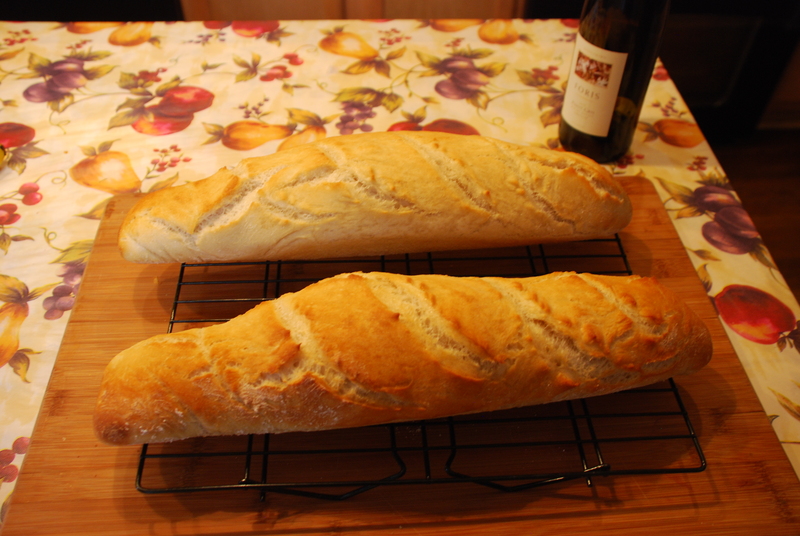 So I pulled up my old standard sourdough recipe from my Wonderlicious Recipes website and baked away. Someday I hope to take some pictures while making and baking it to include on this blog but until then you can peruse the recipe for hints of how I do it. In any case I walked over to the firehouse and gave a fireman there a paper sack with two warm loaves. He thanked me and trotted off to take it up to the guys. In my head I thanked him.